The bathroom is the most suitable destination to spend some private moments, pamper yourself, and freshen up after a tiring day, soak up to rejuvenation, gain relaxation and much more. Therefore, planning the bathroom interiors is equally important as any other part of the house. While the construction engineer takes full care of the hardness and waterproofing issues, you can take out some time to plan the design that occupies less space and offers supreme comfort. 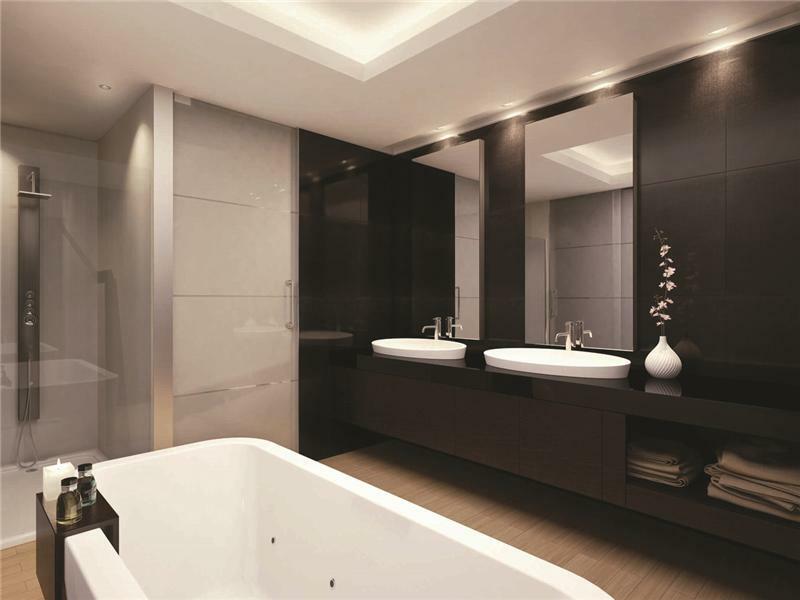 The notion about the large investment requirements for luxurious bathroom designs is not true. You can design exotic luxury bathroom within a limited budget employing some simple strategies and consulting an interior décor professional. Color Combination: The color of tiles, bathtub, countertops and sinks resemble the look to the premises. If the bathroom space is small, choose light shades so that it looks bigger and brighter.